For skiing you need skis, poles, boots, bindings and suitable clothes. For skiing you need skis, poles, ski boots and bindings to attach the boots to the skis. Of course, you also need clothes suitable for skiing. There are two techniques of cross-country skiing, classic and skating. Both have their own skis. With classic you can try skate skiing, but it is not enjoyable. With skate skis, classic skiing is not possible. Classic skis are 15-20 cm longer than the skier’s height. Classic skis are always chosen to fit the weight of the skier. The middle part of the ski should be flat against the trail when standing on one ski. This is for the grip while skiing. When standing on both skis, the middle part of the ski should rise off the trail; that makes the skis glide. Classic skis need to be waxed for both grip and glide. There are also wax-free classic skis. 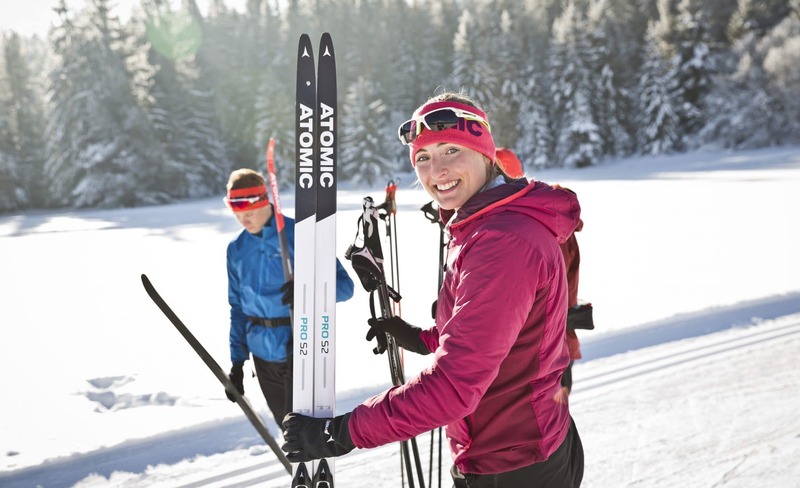 Best choices for wax-free skis are skin skis and nano-coated skis. Skin skis have a special synthetic mohair grip section in the mid-part of the ski. They need to be glide-waxed a few times during the season and the grip section should be cleaned regularly. The entire bottom of a nano-ski is coated with a special nano-coating. You do not need to wax nano-skis, but they should be cleaned regularly. Both types of wax-free skis are a good choice. Nano-skis work best with slightly warmer weather and soft trails. Skins have advantage for colder frost and good condition trails. Don’t be afraid of ski waxing. You’ll learn the basics in a matter of minutes and there are several easy options like liquid and spray waxes. You learn the basics of waxing skis in a matter of minutes. Skating skis need only glide waxing. They are shorter than traditional skis, 5-15 cm added to the skier’s height. Skating skis are clearly more rigid than traditional skis. They also need to be chosen to suit the weight of the skier. When choosing skis, it is important to find the right pair for the skier. Don’t stare at the ski brand too much. 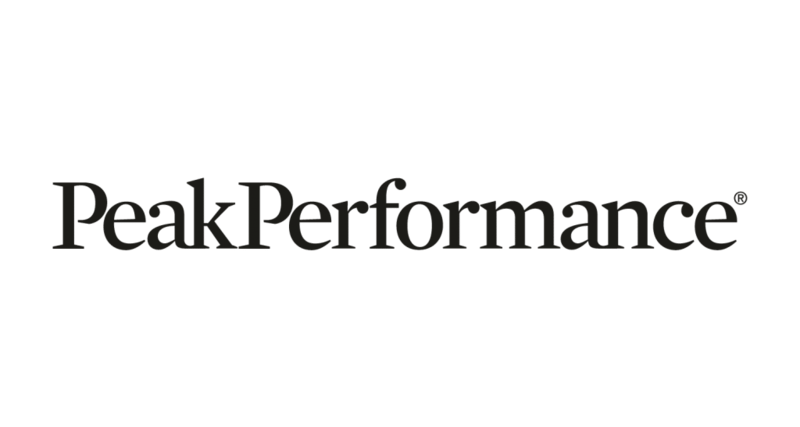 All ski brands have good skis in all price ranges. So just look for the right pair for you. Poles are made of fiberglass-carbon tubes. The best racing poles are 100% carbon fiber, lightweight and very stiff. If your aim is not in competitive skiing the firberglass-carbon mix poles are a better choice as they can take more side impacts without breaking. The length of the classic skiing pole is about 0.83 x the height of the skier and the length of the skate skiing pole is 0.92 x the skier’s height. There is no other difference than the length in poles. When choosing a pole, it is important that the handle strap sits tightly and feels good to the hand with the ski glove on. Ski boots are also different for both types of skiing. The classic style ski boot should bend at the ball of the foot. The shoe must fit snugly enough to keep the heel in place when you stand on your toes. The skate ski boot has a rigid sole and extra ankle support. It is worthwhile to pay attention to its convenience, otherwise your feet will start to ache in a stiff boot. Ski boots should fit your foot just like any other sports shoe. There’s no need to leave space for an extra sock. For cold weather you can wear overboots. Bindings attach the boots to skis. There are two different standards of bindings and shoes, SNS and NNN. There are also bindings that work with both standards. Before buying, make sure that your shoes and bindings match. Cheapest ski equipment is rarely enjoyable to ski with. You should be prepared to pay 300 euros for the classic skiing equipment and slightly more for the skating ski equipment. Children’s ski packages are available from 100 euros. You should see that the skis have proper bindings, not a plastic belt binding. Clothing is an important part of skiing pleasure. Good skiwear protects you from the wind. It is wise to dress in layers so that quality sports underwear comes next to your skin. Layers can be added and reduced according to the weather. You should choose your ski gloves carefully. It’s good to have two pairs of gloves, for warmer and colder weathers. Selling ski equipment is job for professionals. So, choose carefully where you buy your stuff. A skilled ski dealer will provide you with the right equipment to enjoy skiing. High-quality equipment will also last for years, so it is an investment for years to come.